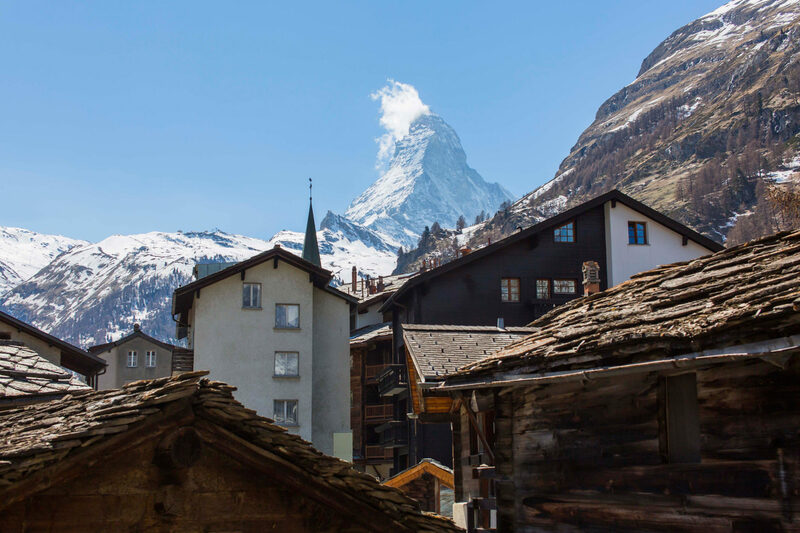 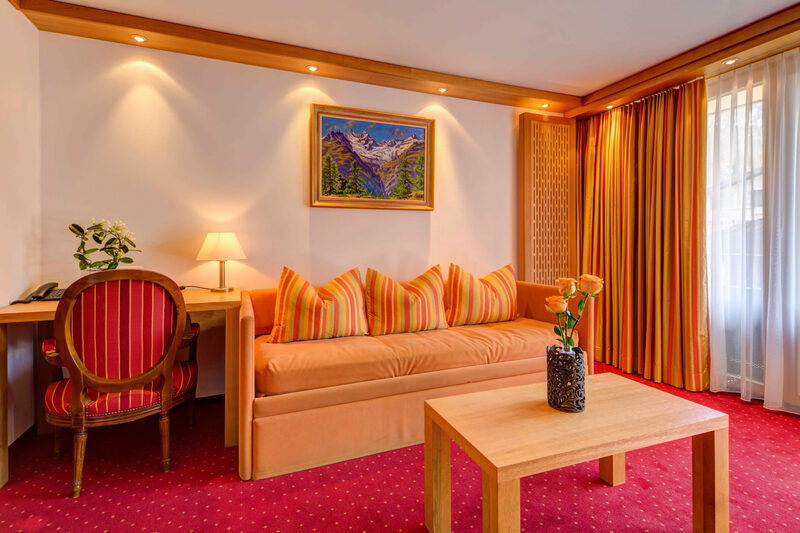 Large suite on the south side with balcony and fantastic view to the old part of the village and of the famous Matterhorn. 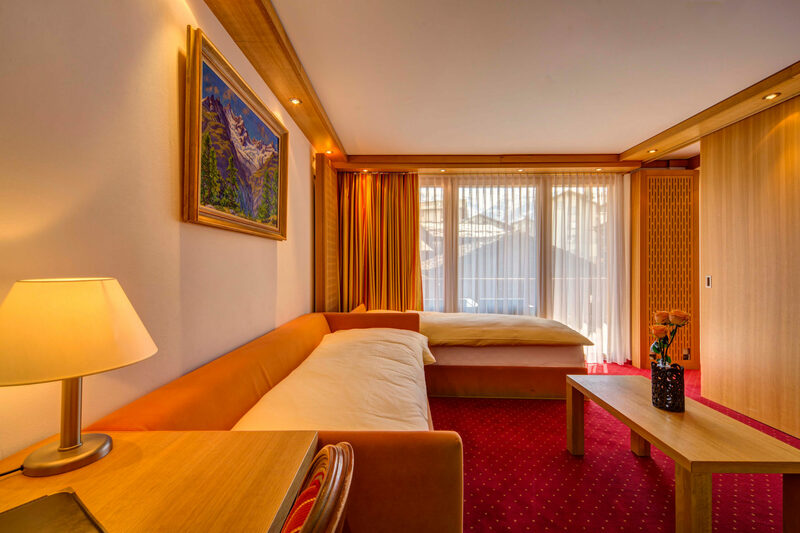 Large separately sleeping room with TV/radio and balcony. 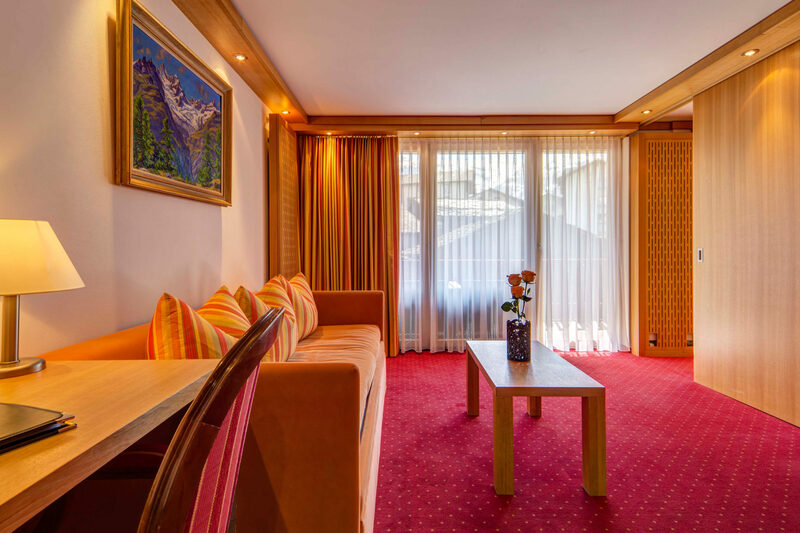 Sliding door to the living room, with sofa, minibar, TV/Radio, phone, safety box and balcony. 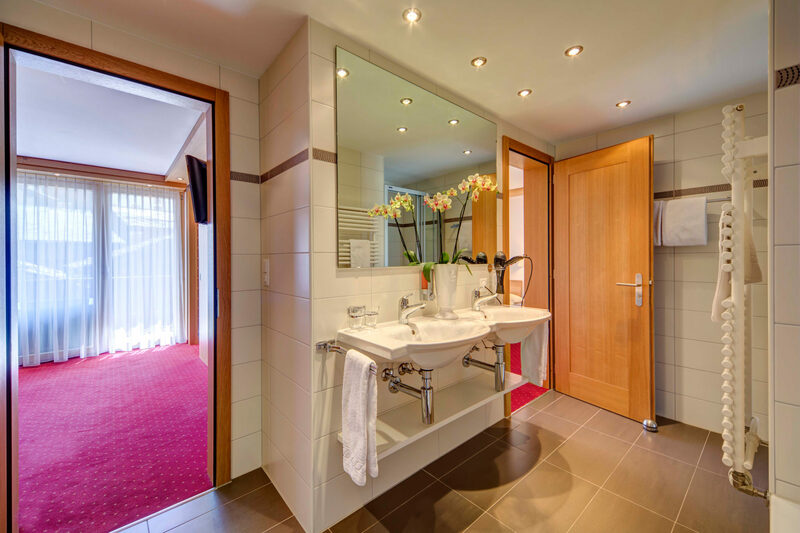 Large bathroom with double washbasin, bathtub and shower/WC, towel heating and hairdryer. 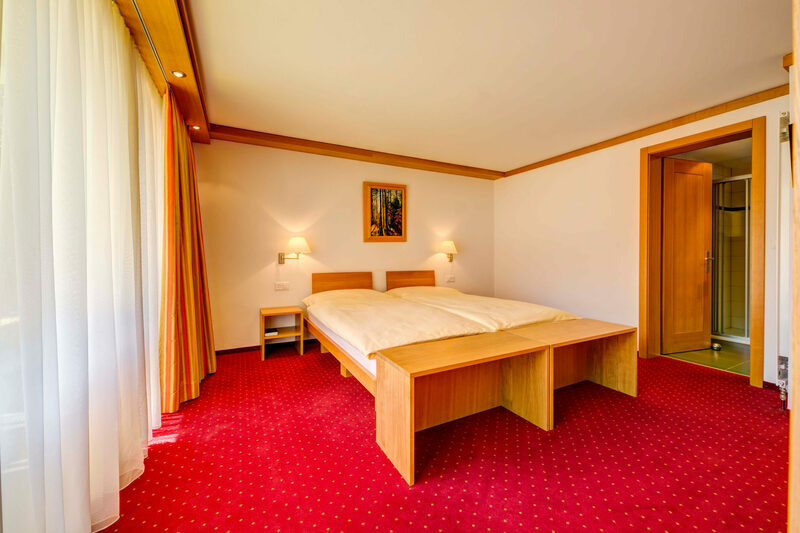 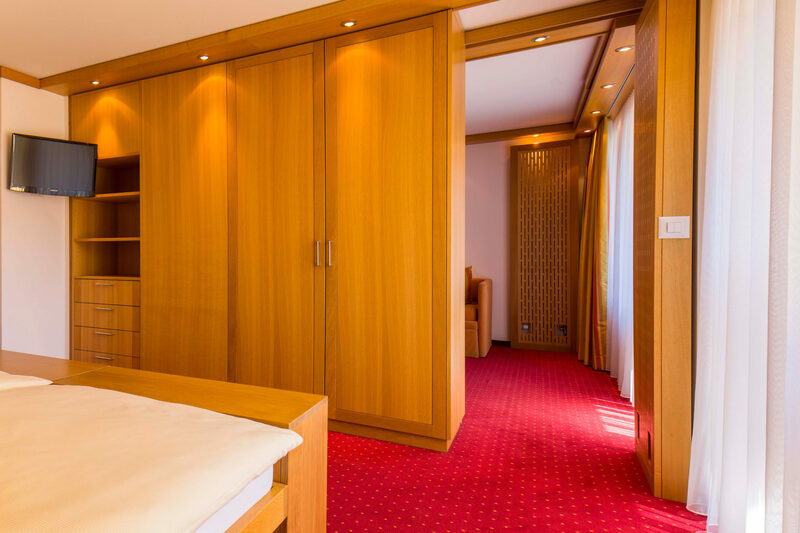 Special for family with one or two children – the extra bed CHF 50.– the night including breakfast.